Prize DrawsWin one of FIVE copies of Romantique by Vincent Niclo! 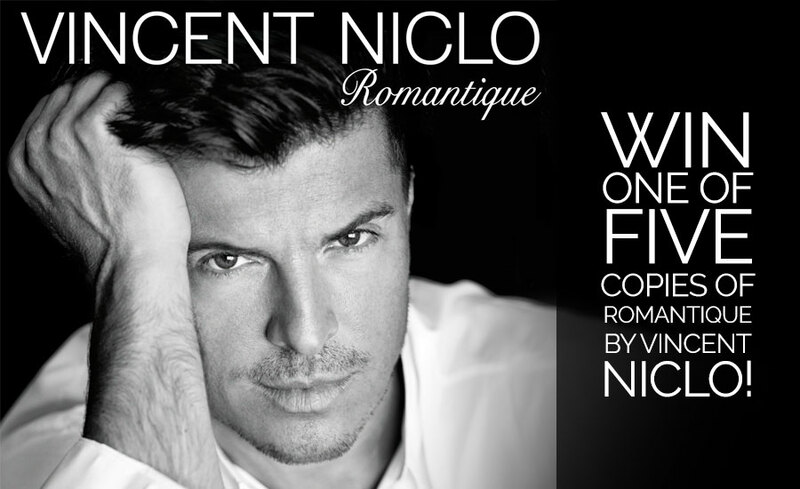 Win one of FIVE copies of Romantique by Vincent Niclo! This month you could be in with a chance of winning ONE of FIVE copies of the debut album by Vincent Niclo called Romantique. French superstar chanteur, Vincent Niclo, releases his debut album ‘Romantique’ on Sony Masterworks on 20th May 2016 and features a delightful hand-picked collection of Niclo’s favourite classic songs including such evergreens as She; La Vie En Rose; Maman; The Good Life; If You Go Away; Hurt; Non, je ne regrette rien; Love Story; Skyfall. A charismatic and engaging musician, Niclo, who has sold over one million albums to date, is also a talented dancer, having recently reached the quarter-finals on ‘Dancing with the Stars’ on French TV. He is also no stranger to British TV screens, having appeared on ‘Lorraine’ at the end of last year and also the ‘The One Show’, together with Placido Domingo. I love his voice , I only heard him for the first time yesterday, already to listen to him on this disc if I'm lucky! Love his voice, and choice of songs would suit me. Can never have too much romance in your life. A nice collection to listen to when relaxing. If it's as good as he looks it will be really good! Yes I need a bit of romance to spice up my life. Need a bit of romance ha ha! Sounds like a very good album! Everyone needs a little romance in their lives, Vincent could well be the one. !!! well as i have said I am in most of time and alone my music means the world to me as reading is not possible as I had an eye operation they made a hole in my eye so reading is out and sittng in a comfy chair with my music serenading me would be wonderful and not so lonely. I'm a little concerned about giving my telephone number and then receiving cold calls. Will this happen? This would be lovely as being bedridden listening to music helps to relieve my pain. Not someone I have heard of but if he has sung with one of my favourite's Placid the I would enjoy this. Not an artist i have heard of.Nice to receive as a introduction. wow !! he looks gorgeous.... haven't heard him yet but would like to !! 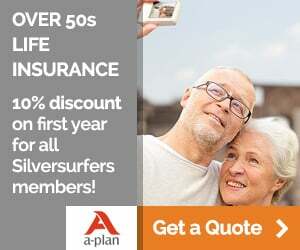 and our 33rd wedding anniversary on 23rdMay would make a nice present to myself .. ha ha !! This would be a brilliant gift for my wife on her birthday.